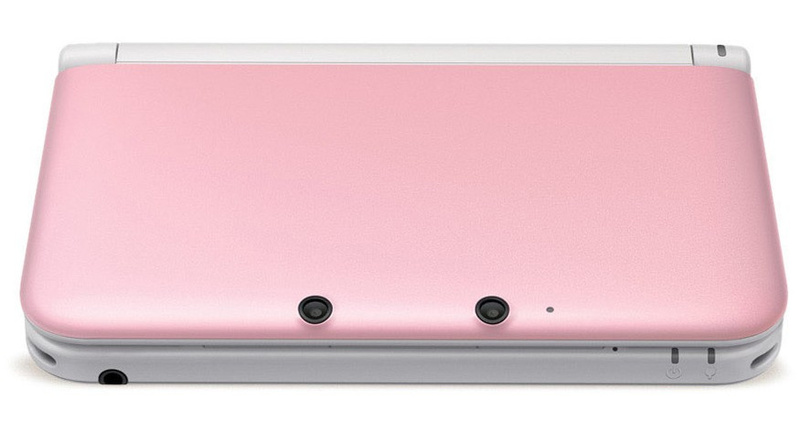 Late last year, Nintendo released the Pink / White 3DS XL in North America as a limited edition. The system was clearly something of a hit with consumers, as it has since sold out - and if you missed the chance to pick one up, it looks like your only hope now is to purchase a pre-owned model. Thank you for taking the time to write to us about the Pink Nintendo 3DS XL. I can confirm that this color was a limited edition, and at this time there have been no announcements regarding its re-release or the release of additional colors. I certainly understand your thoughts on this matter and want you to know how much we appreciate you sending them in. If additional new colors are announced in the future, we'll be sure to post the news to our website, www.nintendo.com, so be sure to check back from time to time. I also want to assure you that your comments will be added to our records for Nintendo 3DS XL colors and made available for other departments at the company to use as they see fit. Were you hoping to get a pink system, or are you holding out for the North American release of the gorgeous White 3DS XL instead? Wow, I'm assuming that this article was written because Nintendo never said it was limited edition when it came out? If they did say that, that's cool, as sometimes Ninty have been known to have "limited editions" last years, haha. Where's my orange 3ds XL? I'd like to have one with the white interior, but I'll wait until they release one with a different outer color. My wife would never let me hear the end of having a pink 3DS! I'm glad a bought the other limited edition (Pikachu XL) White + another color is pretty. The XL is too much of a luxury purchase if you have a standard, compact model. Still, the XL is a lovely thing when opened up. This is why I picked up a white one, even though I probably won't buy any 3DS for at least a year because my DS backlog is so big. I didn't want to risk missing out on one. Eh... I'm interested in a Pink XL, but not really that pink XL. Isn't this the one that's only pink on the outside? Pass. Maybe after this model is out of the way, Nintendo will release a new, better colored limited edition XL. Maybe then I'll get an XL. The Pink color probably didn't sell too swiftly. And thus, the "Limited Edition" was born! Wasn't there also a rumor for a green 3DS(XL) with the launch of Luigi's Mansion ? Still waiting on Silver. I really want to give you $200, Nintendo. I really do. To those who got a pink 3DS, well done! You managed to get one in time. How hard can it be to release a new color? If fans are willing to buy it till it sells out, it makes no sense not to have a normal release of a pink 3DS. I mean, specially since we only have Ugly Blue and Childish Red. To be fair, limited edition doesn't really state that there's anything special about said object. I mean the 3DS XL could be a limited edition system itself if they wanted, whether it was pink, black, or yellow. If it was only sold for a limited amount of time it would still be a limited edition. SPECIAL edition on the other hand I would completely agree with you. Not a fan of the pink colour, no loss there. Still waiting for the white edition. After searching everywhere for pink/white found a sick bundle at walmart.com just in time for my daughters birthday. @yamiec So glad that you mentioned WalMart I didn't even think to look there because I never buy any electronics from them but that bundle I want. Thanks for posting. @astrotriforce I'm in the same boat as you, man! My favorite color is technically purple but I like pink too. It takes a man that's secure with his manhood to game on one of these. I've been enjoying my Pink 3DS xL for the past two years. I get lots of complements in public, and a few strange looks too, LOL! I originally couldn't decide on the blue/black or red/black model, so I decided to wait for Nintendo to announce more colors, and when the pink/white model came out, I got all giddy like a school-girl! Fun fact, I put puffy pink fur decals on my DS phat gray launch model, which still wears pink to this day.